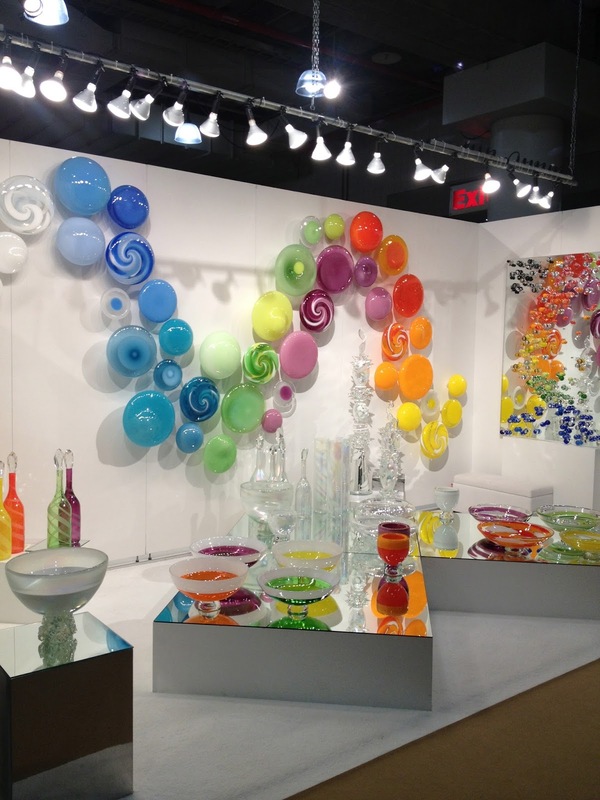 Artist Abby Modell creates exquisite, hand blown, contemporary art glass. 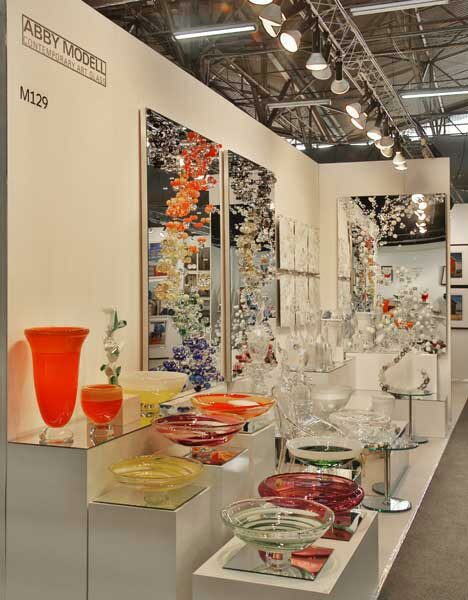 The artist strives to create a harmonious interaction and reaction between color and glass. 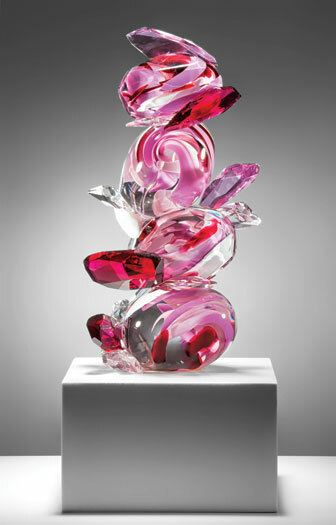 Modell has an art installation in the permanent collection of the Fontainebleau Hotel in Miami Beach. 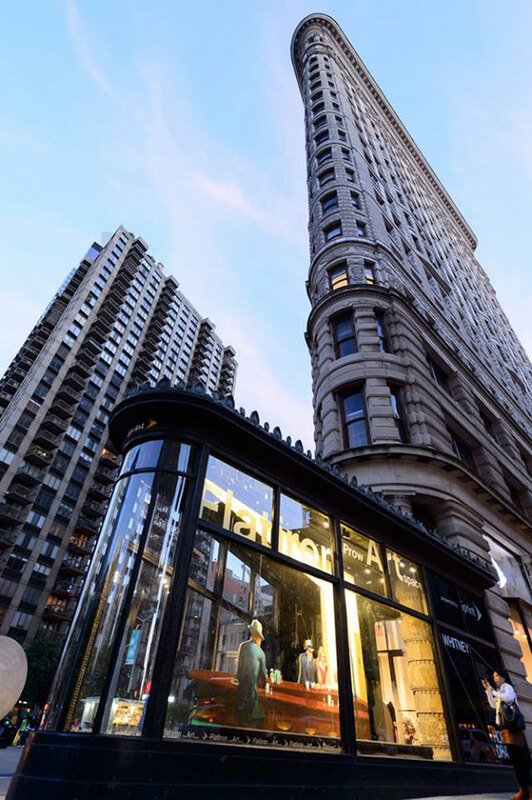 The artist's work is available in department stores and displayed with exclusive art & design shows, art galleries and interior design showrooms. 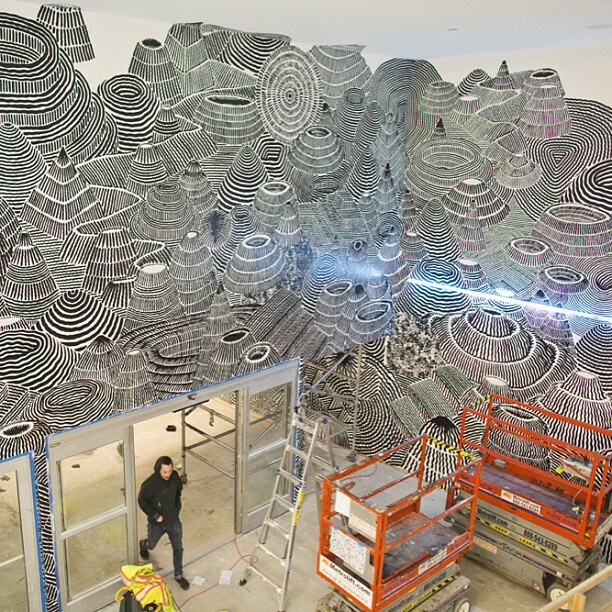 A recent transplant from Miami to Los Angeles, artist Avaro Ilizarbe recently created an ambitious art installation at The Fashion Outlet in Chicago via The Arts Initiative - a public arts program. 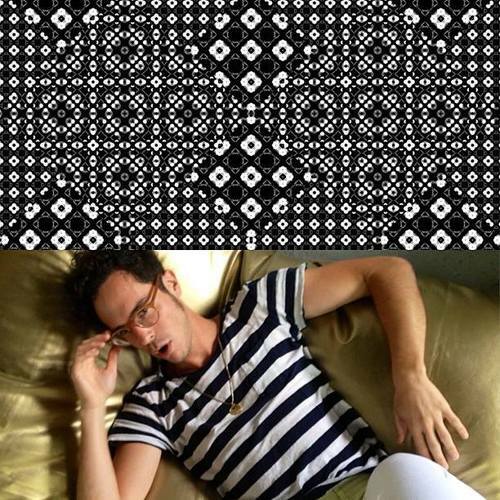 His signature monochromatic designs and patterns now adorn the Chicago Mall. Ilizarbe was a lead designer with famed advertising agency CP+B for several years before establishing his own art & design studio known as 'Freegums' - he has worked on accounts such as Microsoft, Volkwagon and Nike to name a few. 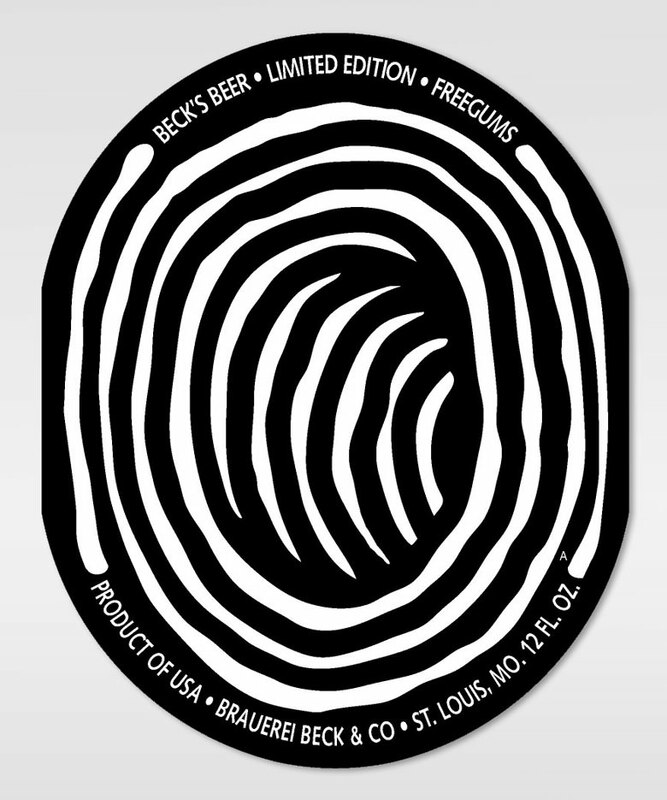 Recently Freegums teamed up with Becks Beer as part of their limited edition Artist Series bottles to create an original label design exclusively for Beck's. 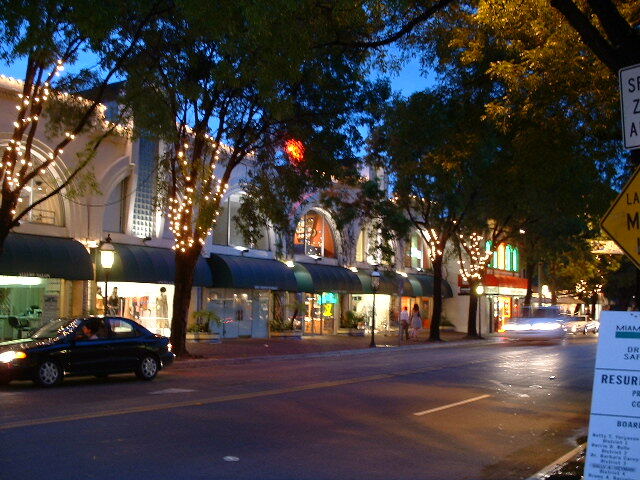 Studio spaces are available at Dynamo Art CocoWalk in Coconut Grove, Miami - the Dynamo Cultural Center is an 18,ooo Sq. 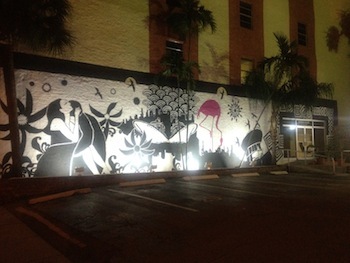 Ft., 2-Story Art Venue located at 3015 Grand Avenue in Miami, Florida 33133. 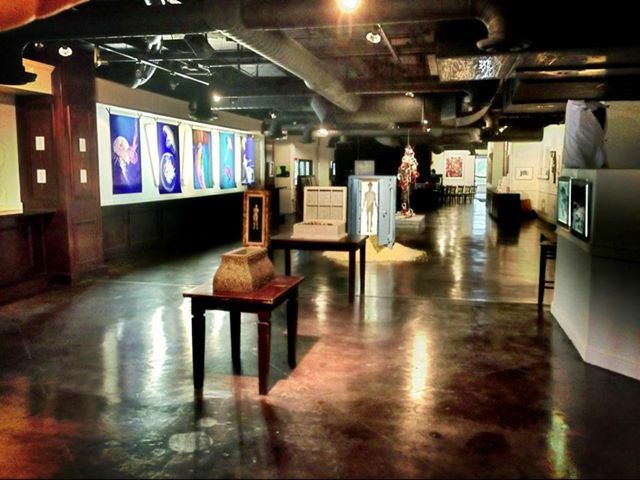 The Dynamo Art Gallery is a multi-use cultural space located on the 3rd & 4th Floors of the CocoWalk Marketplace in the heart of Coconut Grove. 10 artist studios are available from $4oo-$6oo/month, which include WiFi & Parking + Exhibition Space. 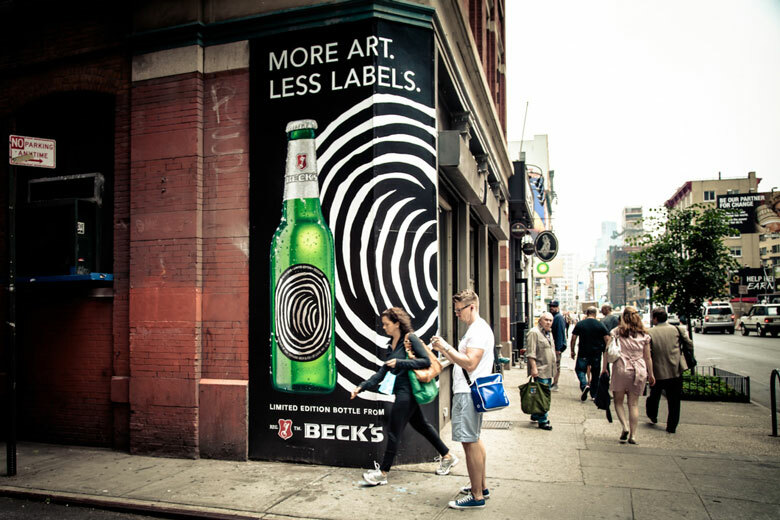 Artists and their work must be pre-approved, we are seeking serious, professional artists. 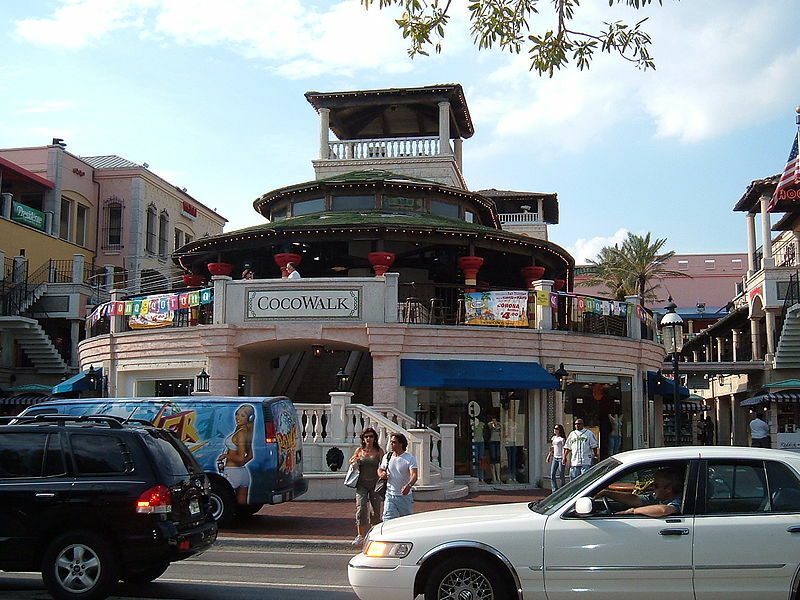 The rental comes with a large, modern gallery and other exhibiting opportunities - the annual Coconut Grove Arts Festival takes place right in front of Dynamo Art CocoWalk. For more information please contact Katerina Wagner at (786)571-6112 (or) miamiartscene@gmail.com - please email 5-8 images of your work along with your contact info/website for consideration. 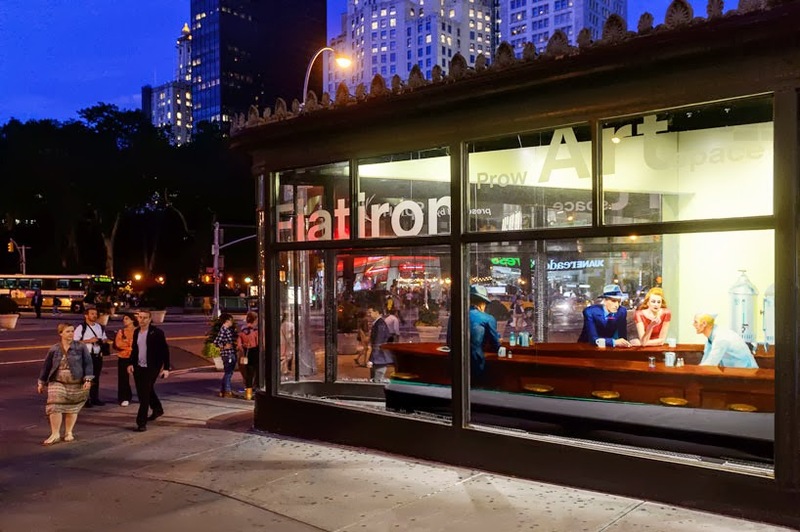 Famed work of art 'Nighthawks' by Edward Hopper is now recreated in a 3D, life-size installation in the NYC landmark Flatiron building's prow. 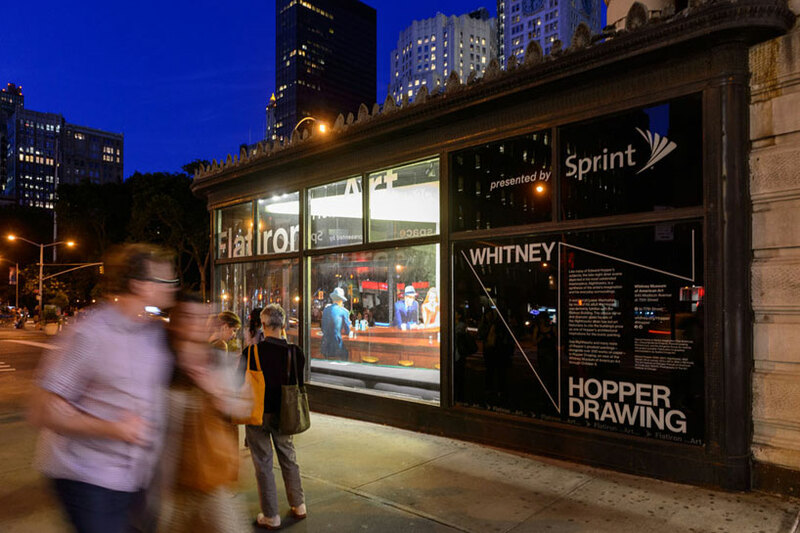 The pop-up, cut-out style model is created by the Whitney Museum of American Art in New York in celebration of their current exhibit 'Hopper Drawing', a show devoted to the painter's process, which includes some 2oo previously unexhibited drawings on paper. 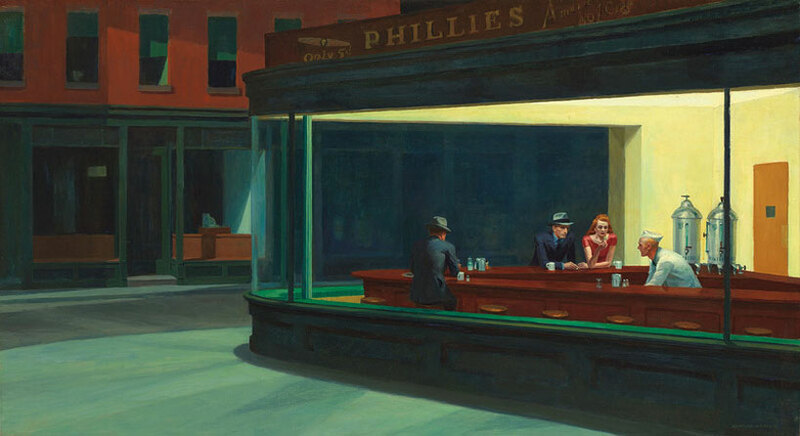 The distinct architectural elements of the Flatiron building, specifically the triangular site was an influence for the locale pictured in 'Nighthawks'. 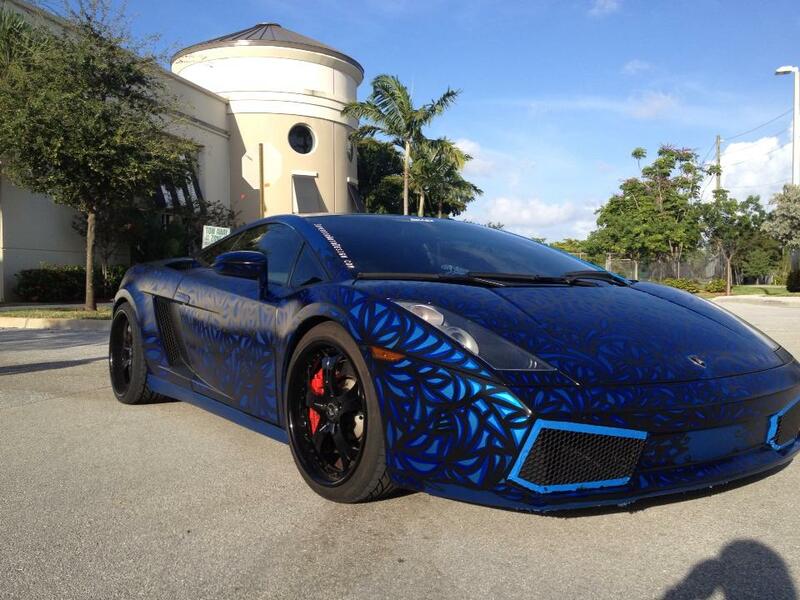 Miami-based artist Alexander Mijares is on fire with his newest art commissions involving auto design work. 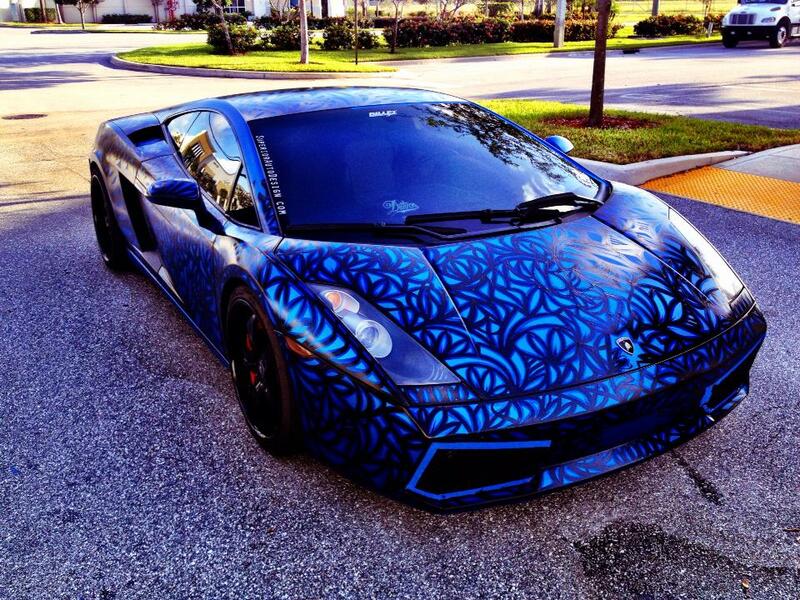 He created a custom wrap Fiat 5oo in July, and he recently custom painted a stunning Lamborghini with his signature style art. 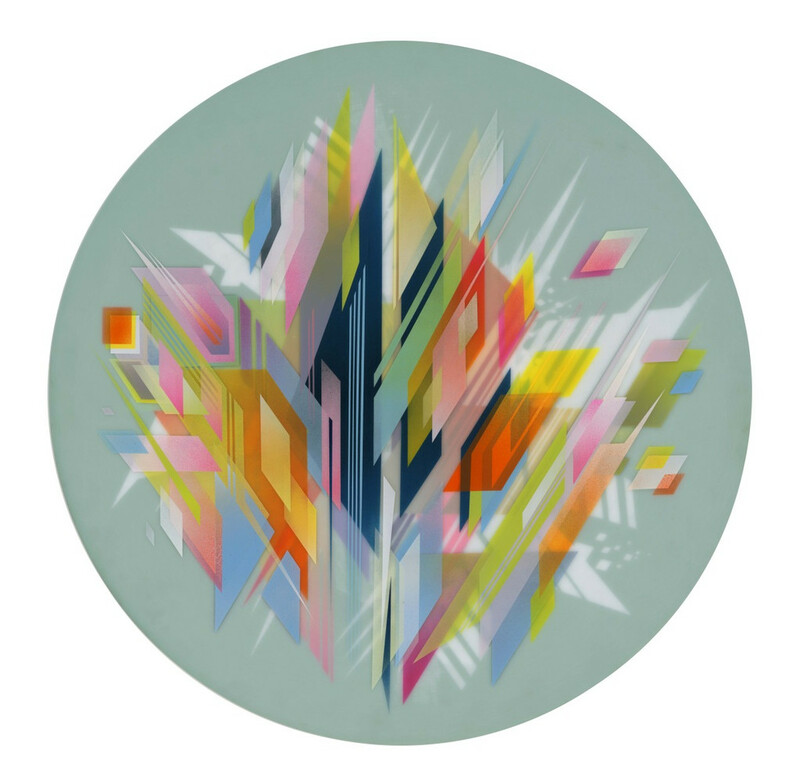 Mijares is a self-taught artist whose pursuit of art was purely accidental. After grabbing some brushes and paint to simply decorate his own home, he has become an overnight sensation and has achieved incredible momentum and fame as an international artist. Alex Mijares has exhibited at The Marquis Hotel for the Venue Magazine Cover Party, the Lupus Foundation, Coral Gables Museum, Baltas: The Spanish Art of Luxury, The American Cancer Society, and his art was featured in Times Square as part of the ArtistWanted.org campaign - which is just the tip of the iceberg. He is an extremely versatile artist whose work encompasses fine art paintings, murals, sculptures, merchandising, auto design and more. 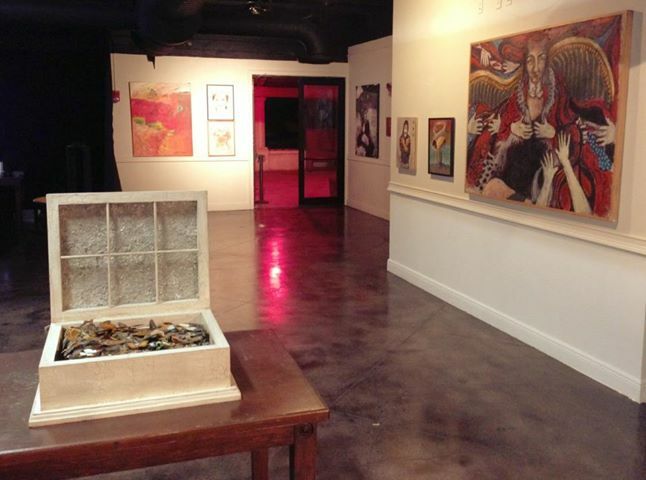 Mijares Art Studio is located at 7oo NE Street in Miami, FL 33137. 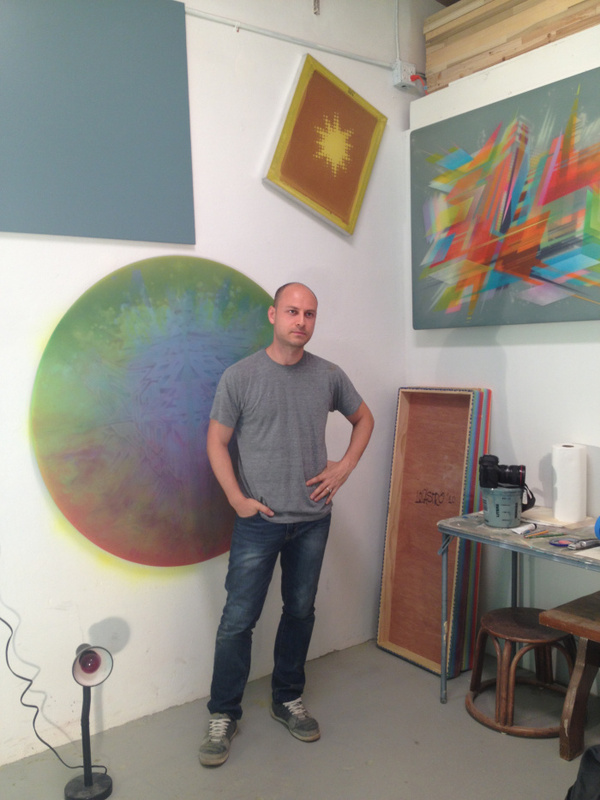 Miami-based artist Francesco Lo Castro has been active within Miami's art scene for over a decade, his multi-color paintings are explosive yet with strict order. His artwork is vibrant and dreamy - made with oil and acrylic paints, spray paint, silkscreen, layered epoxy resin and gold leaf, usually on a wood base. 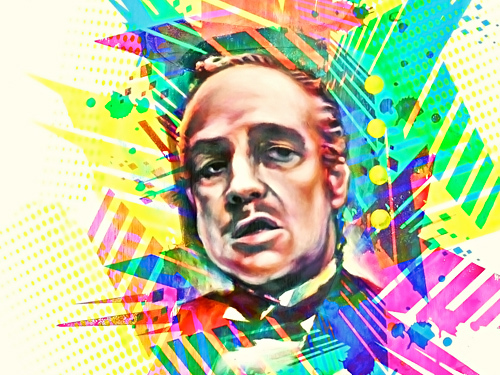 There is a lot of power and release in Lo Castro's work. He is a versatile artist who also produces 3D animations based on his paintings, his video art and films are very impressive. 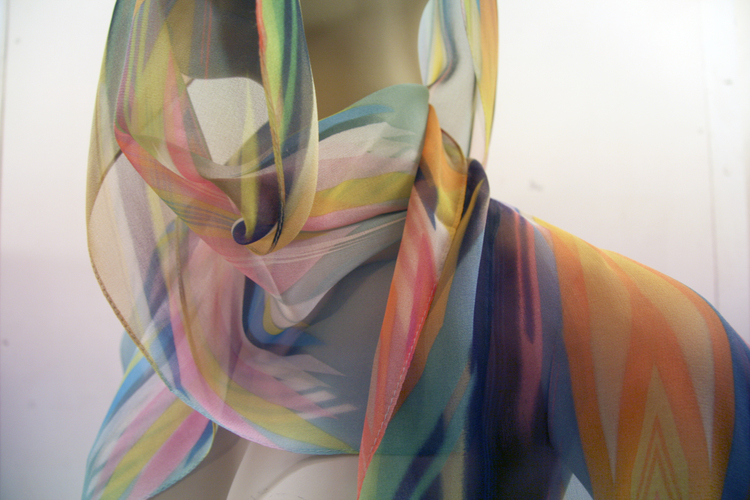 Lo Castro also creates exquisite cotton and silk scarfs designed and inspired by his intricate dimensional artwork - a very dynamic artist whose murals are also a sight to behold, definitely an artist worth keeping your on. 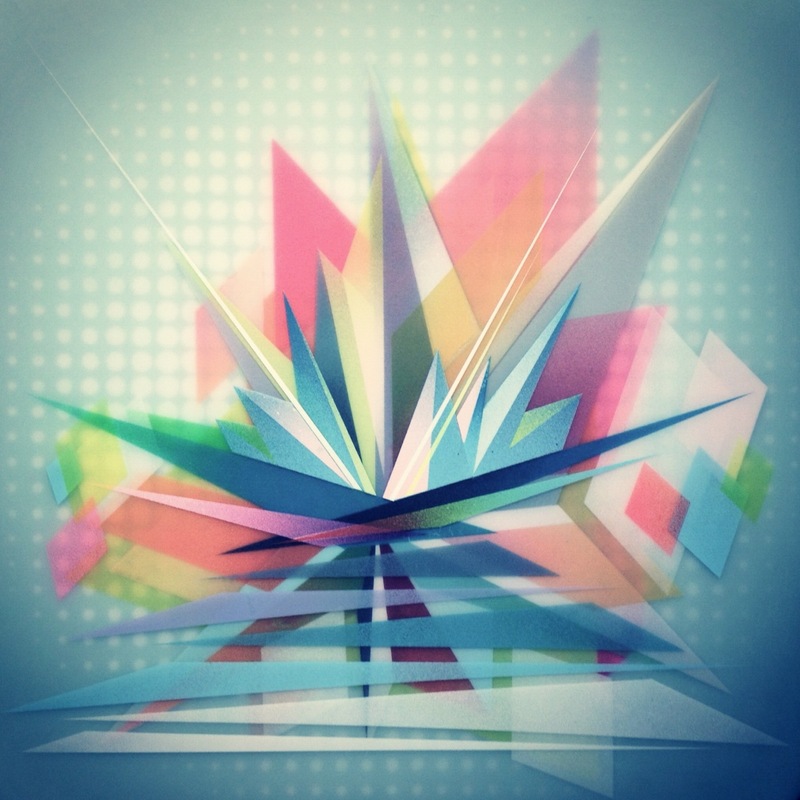 Miami Dade College’s (MDC) Museum of Art + Design (MOAD) is pleased to present 'Elaborate webs/Striking Exploits, a two-person exhibition of new works by artists Anne Austin Pearce and Sara Stites. Opening Friday, September 13, 2o13 - the exhibition is organized bt the museum and curated by Executive Director and Chief Curator Jeremy Milkolajczak. 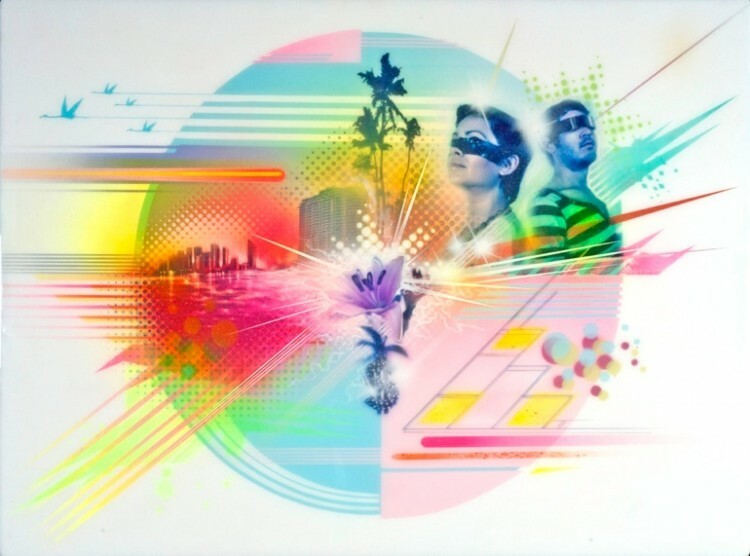 'Elaborate Webs/Striking Exploits' opens the fall seaon at the college's flagship institution dedictated to the presentation and exhibition of visual art and design, housed at the National Historic Landmark Freedom Tower at Miami Dade College in Downtown Miami. An opening reception is scheduled for Thursday, September 12, 2o13 from 7-10pm, which is free and open to the public. 'Elaborate Webs/Striking Exploits' is Anne Austin Pearce’s first exhibition in Miami and Sara Stites’ first major exhibition presented at the Museum. Exemplifying the contemporary shift in looking at and the execution of traditional drawing and painting, Pearce and Stites use nature, decay, personal landscapes and the ironies of contemporary society as a vehicle to inspire and inform their process-driven work. Both straddle the line between the polarizing nature of historical feminism and the realities of navigating the art world as mid-career female artists who are thematically post-feminist. Anne Austin Pearce is a Kansas City-based artist who received her MFA from James Madison University. Pearce’s work has been exhibited at institutions throughout the United States, including the Nerman Museum of Contemporary Art, Overland Park, Kan.; Corcoran School of Art and Design, Washington D.C.; and the Drawing Center, New York City. 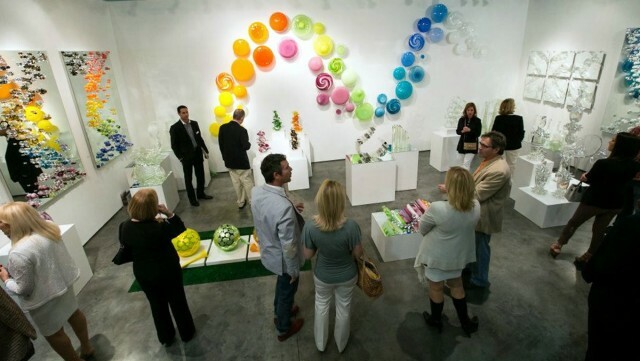 Miami artist Sara Stites received her MFA from the Pratt Institute. 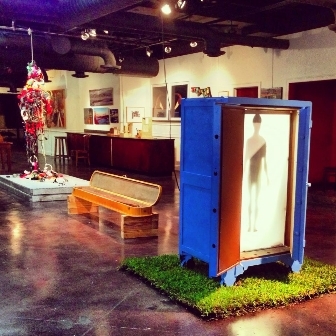 An active member of the local artist community, Stites’s work is included in the collection of the Pérez Art Museum Miami and has been exhibited locally at David Castillo Gallery, Girls’ Club Fort Lauderdale and the former Rocket Projects Miami. 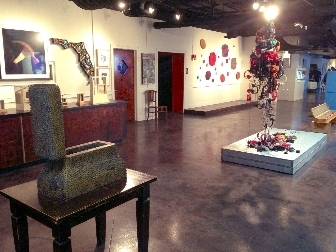 Stites has held several exhibitions throughout the United States and abroad, including solo exhibitions in Paris. 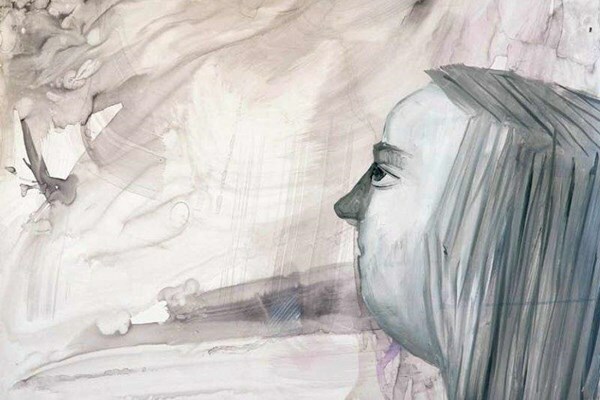 A public panel discussion titled "Drawing Today and the 'Mid-Career' Artist" - featuring artists Anne Austin Pearce, Sara Stites and guests is scheduled for Tuesday, November 5, 2o13 at 7pm. at the Museum. The lecture is free and open to the public. 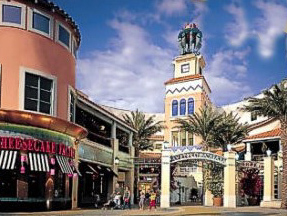 The exhibition will be on display through November 17, 2o13 - 3oo NE 2nd Avenue in Miami, Florida 33132 - Museum hours are Wednesday - Saturday, noon to 5pm. - Admission is free and private tours are available. Join us on Friday, September 2o, 2o13 at McCormick Place in the heart of Downtown, Miami for our 2nd Annual DwnTwn Art Days Event at 111 SW 3rd Street, Miami FL 3313o. 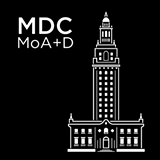 Art, music and fashion fuse at the epicenter of Miami’s cultural crossroads, during the Downtown Development Authorities’ DwnTwn Art Days. McCormick Place will offer an evening of multi-sensory experiences stimulated by fine dining, art and jazz, from 6-10pm, transitioning through fashion installations into a DJ party scene, from 10pm-3am. 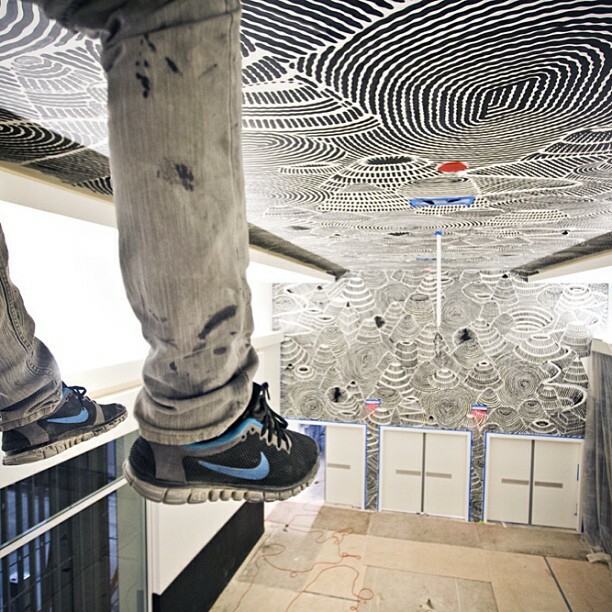 The vertical 22,000 sq ft space will allow guests to explore three floors of artwork, while engaging with renowned artists. McCormick Place, in Downtown Miami, has morphed into an art and culture hub featuring artist studios, gallery and event venue space. Last year’s grand opening event hosted over 1,500 guests, enjoying burlesque performances, live art installations, DJ sets and a gallery filled with works from renowned artists such as Stephen Gamson and Eleazar Delgado. 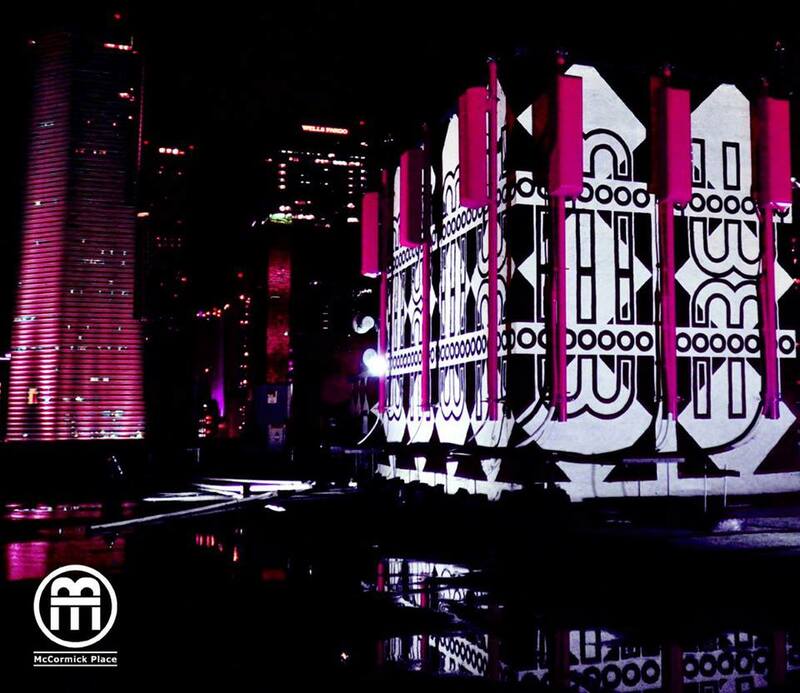 “McCormick Place is honored to host the largest party of the year in Downtown Miami. Events focusing on art, culture and nightlife are essential to the vitality of a sustainable and ever evolving community.” - Sean McCormick. The event benefits 'Save Our Sisters', a local charity dedicated to breast health awareness, making this event a kick-off to October’s Breast Cancer Awareness Month. The event is free and open to the public. 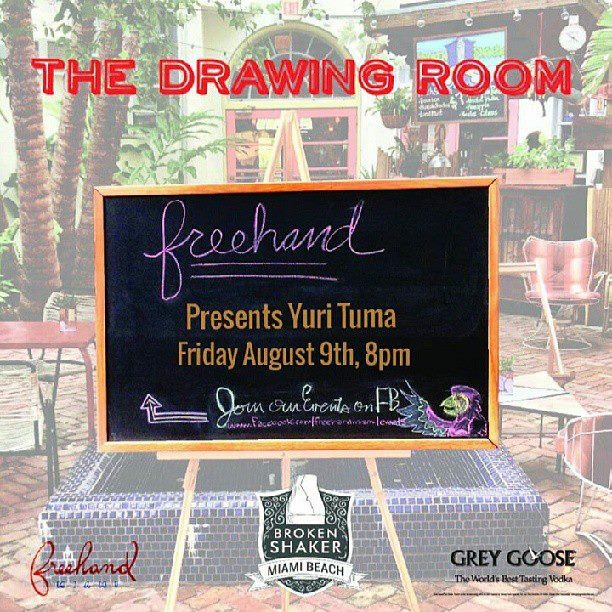 Art and cocktails collide tonight August 9, 2o13 at Freehand Miami - the historic Indian Creek Hotel, one of Miami Beach's classic art deco buildings presents the work of Miami-based artist Yuri Tuma in The Drawing Room. Their backyard-turned art gallery will feature Tuma's stunning photography, and to complement the evening Broken Shaker will be serving up their inventive spin on the classic dirty martini inspired by the style and tastes of Tuma himself. 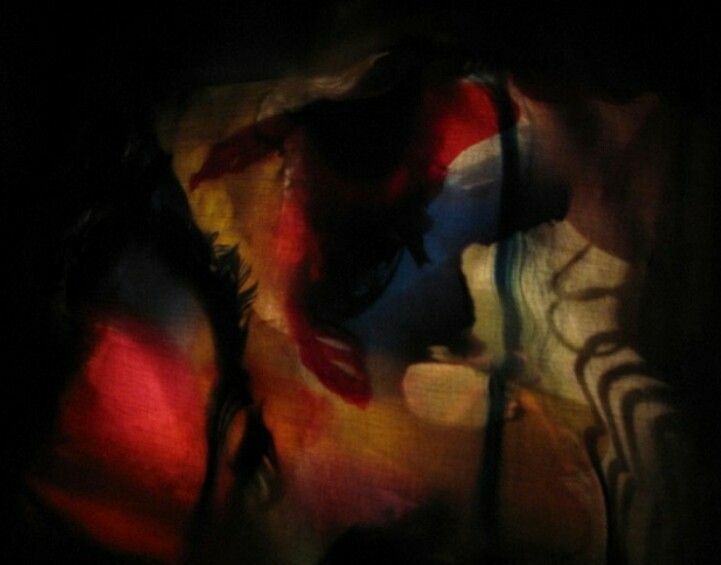 Tuma's art is considered 'applied photography' in the sense that he paints an abstraction through photographs. His work is strongly influenced by geometry, symmetry and architecture that reflects a kaleidoscopic display of patterns, shapes and colors. Tuma's main practice is photography - he transforms his photographs into formulaic designs creating optical eye pieces unusual to the field of photography, but he is a versatile artist who also creates video art, sculpture, fashion and installation art. 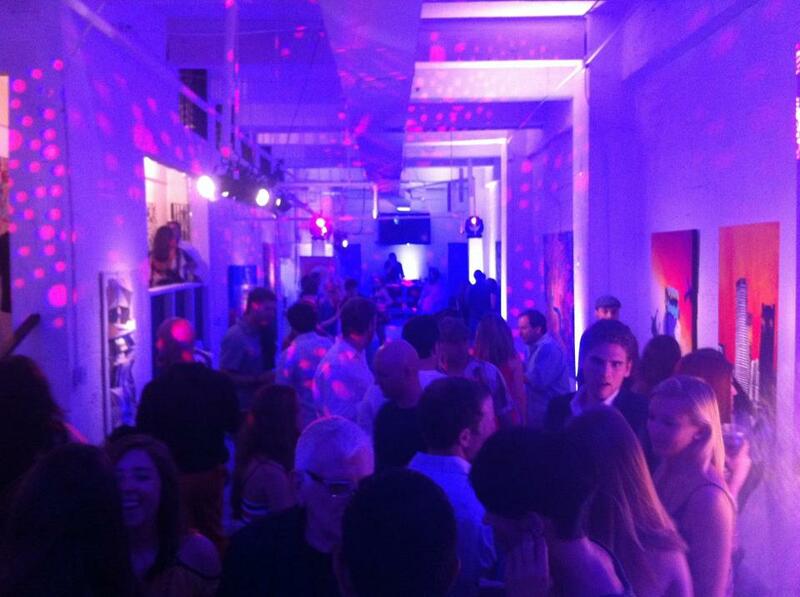 Join us this evening at Freehand Miami | 8pm - 2727 Indian Creek Drive - Miami Beach, FL 3314o. 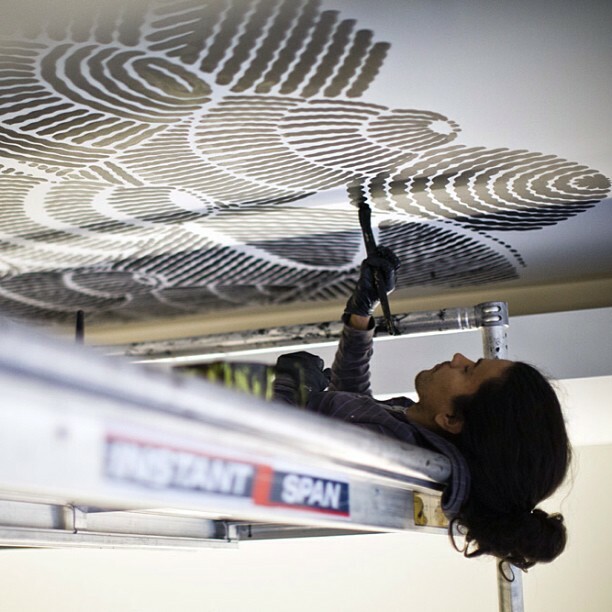 The much anticipated work of Miami-based artist Rosee Camafreita is on display at McCormick Place Art Gallery in the heart of downtown, Miami. 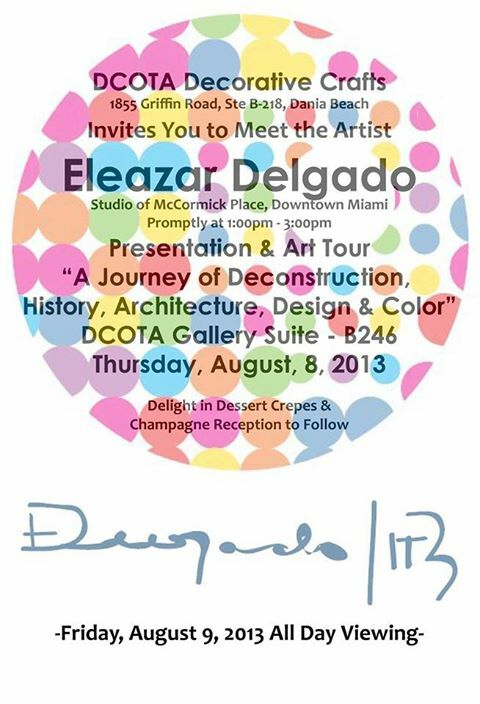 'Meet The Artist' at DCOTA - Miami-based artist Eleazar Delgado will be at the Design Center of the Americas tomorrow August 8, 2o13 from 1-3pm - 1855 Griffin Road, Suite B-218, Hollywood, Florida 33004. Presentation & Art Tour: 'A Journey of Deconstruction, History, Architecture, Design & Color' - Dessert Crepes & Champagne Reception. 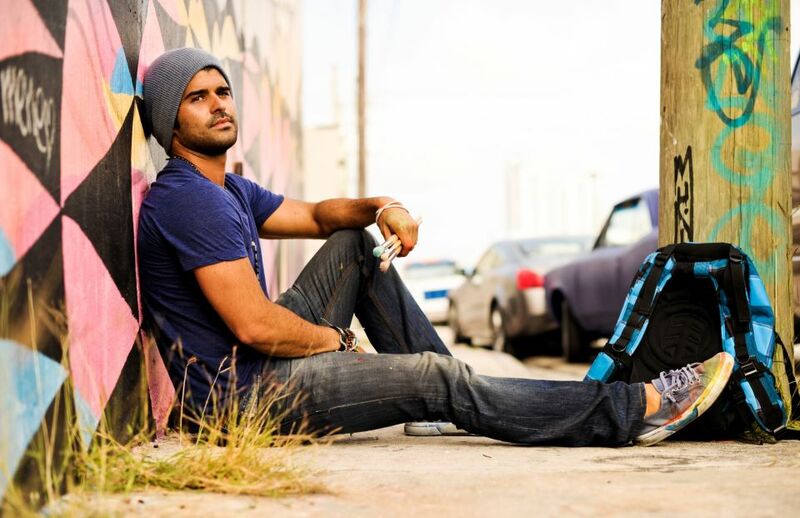 Eleazar Delgado is the Official Miami Beach 2013 Art Deco Weekend Artist. 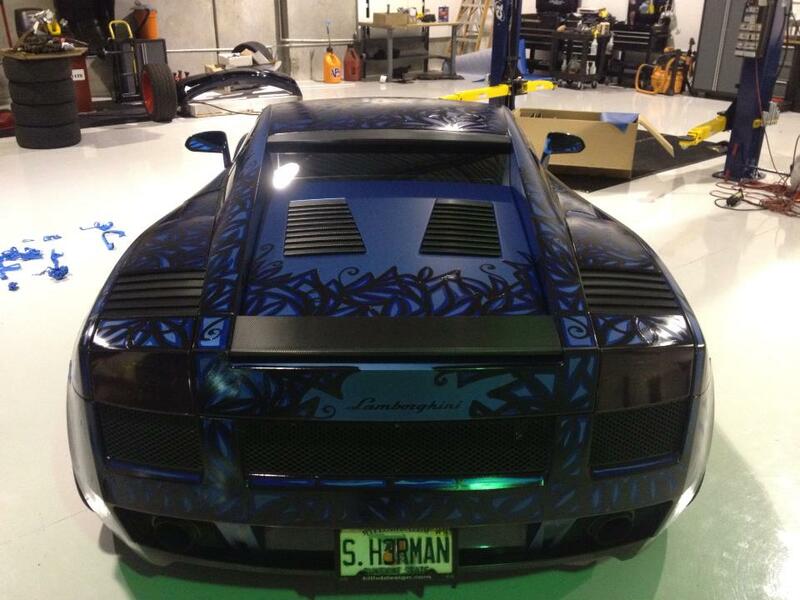 He is an experienced and well-known art professional in the areas of architecture and interior design. 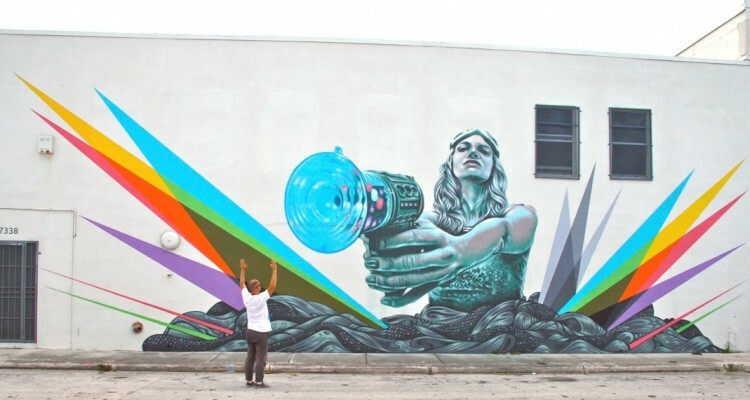 US-born, Venezuelan-raised and based in Miami, Eleazar Delgado has taken his Miami-inspired vision, applying his research of reading between the lines and seeing behind the lights, to present oil paintings as a three-dimensional story. Eleazar Delgado studio is located at McCormick Place - 111 SW 3rd Street, 7th Floor - Miami, FL 33130 in the heart of Downtown, Miami.